Place sliced baguette on a rimmed baking sheet and drizzle with 3 T olive oil. Bake at 350 degrees for 12-14 minutes or until light golden brown on the bottom of the baguette slices. Spoon tomato confit atop toasted baguette. Top with a slice of fresh mozzarella cheese and bake at 350 degrees for 8-10 minutes or until cheese is melted. 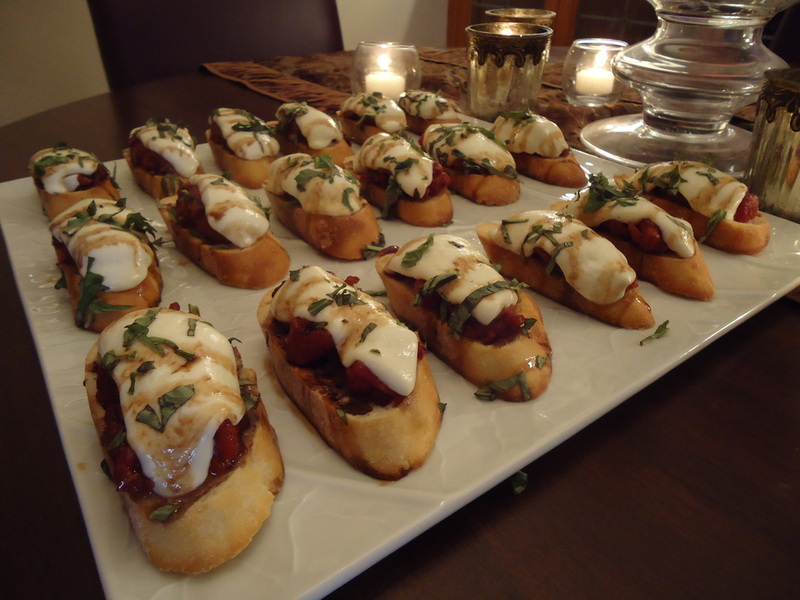 Drizzle balsamic syrup over the top of the crostini and then garnish with fresh basil.